MAIA seeks to increase, improve and enhance bicycling in the community by taking a leadership role in sustainable transportation. By recognizing the need to become more bicycle friendly, MAIA will work to maintain our current bikeways and to develop a contiguous bikeway system that closes gaps in the existing system and serves important destinations. We will also work towards making short and long term bicycle parking available, secure and convenient throughout Motor Ave. 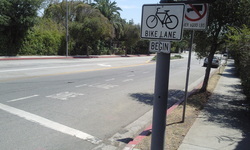 Recently, MAIA was successful in securing a designated bike path on Motor Ave from Venice to National. 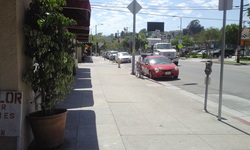 Currently destination spots like markets, restaurants and shops on Motor Ave lack adequate bicycle parking accommodations. 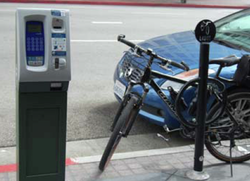 Bicycle parking is a critical component in bicycle networks that facilitates and encourages bicycle travel. 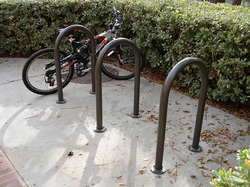 The provision of bicycle parking at every destination ensures that bicyclists have a place to safely secure their bicycle. To better accommodate and encourage bicycling on Motor, MAIA is working towards the following improvements.